and a replacement black hide writing surface with gilt and black tooling. 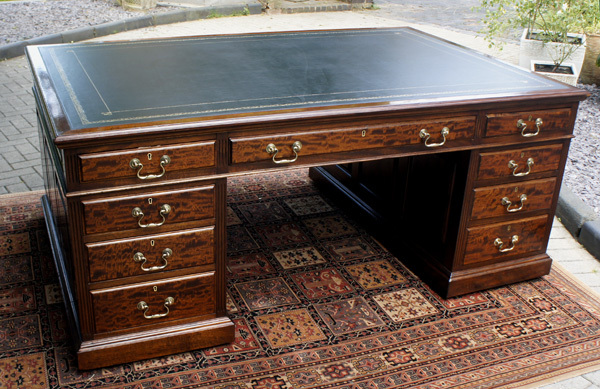 A very good quality large antique partners desk made from beautifully figured solid mahogany. 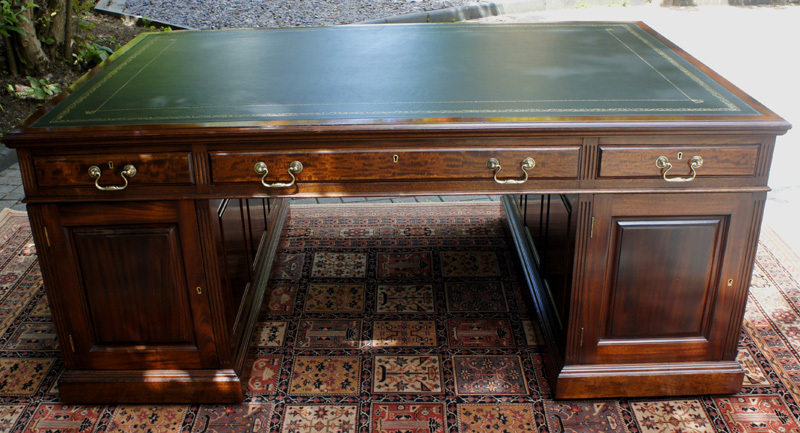 It is a very handsome desk with a beautiful rich mahogany colour and panelling to all sides. The desk has an imposing presence being 72 inches wide by 48 inches deep with beautifully figured timbers. three drawers to the front and cupboards with shelf to the reverse. The pedestals have fluted edges and raised "fielded panels" to both exterior and interior sides. They stand on plinth bases with hidden castors. and original brass drop handles and locks with key. The desk is made in three sections for ease of installation and the pedestals stand on plinth bases with hidden castors. It can be set up with all drawers to one side and cupboards to the reverse or cupboards and drawers on both sides.